This recipe courtesy of Mommy Hiker is SO easy, there’s no reason you can’t have this staple in a pitcher in your fridge all year long! Enjoy! Finely dice the first 6 ingredients and toss them into the food processor and top it off with the juice of 1 lime and a bit of salt and pepper. Pulse the processor just a few times while adding olive oil. 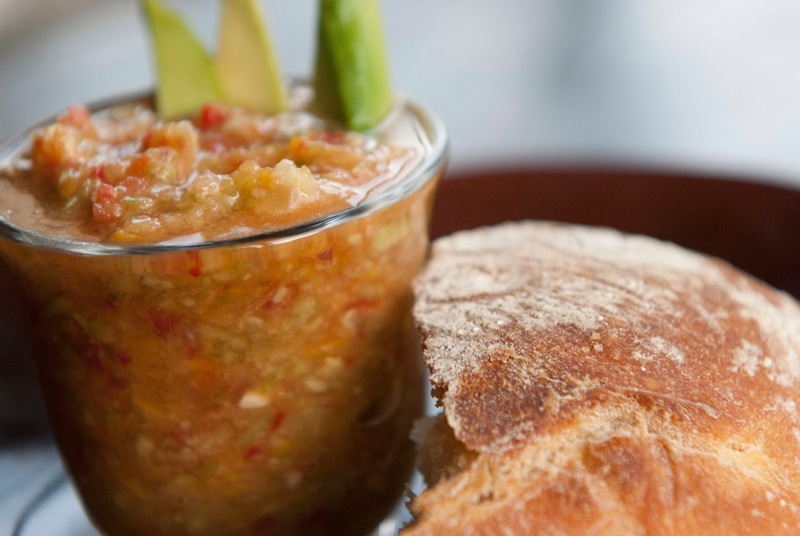 Chill, then serve with a garnish of sliced avocado (and feel free to add any fresh herbs you have on hand!) Voila! That is literally it! 10 Minutes, TOPS! Enjoy with a great Sauvignon Blanc! 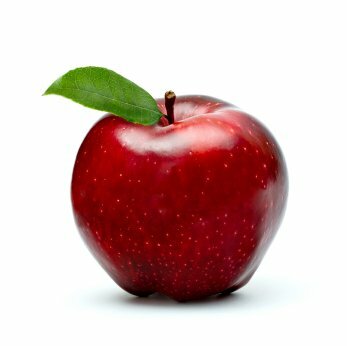 “Mom” has discovered another blog that features delicious, healthy recipes and interesting content that Tiny Green Mom readers would enjoy! The blogger behind Mommy Hiker was kind enough to share this decadent and super simple cold soup that makes a tasty lunch on a hot day for the whole family – no cooking required! 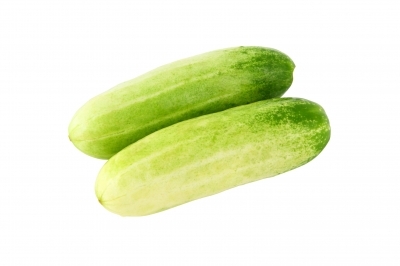 Into a large bowl, grate the peeled cucumbers and use a zester or microplane to add the garlic. Dump the yogurt and water in and blend until it is smooth. Mommy Hiker usually uses a fork because it easily breaks up all of the lumps, but doesn’t aerate the yogurt. Chill and serve! That’s it, literally! In Mommy Hiker’s house, they usually prefer it on the thicker side, but feel free to add more water, in very small increments, to get it to the consistency that works for you. This dish is also delicious with finely chopped mint or dill, a drizzle of olive oil or served as a side dish with any yummy protein! A raw dessert too delicious for words! 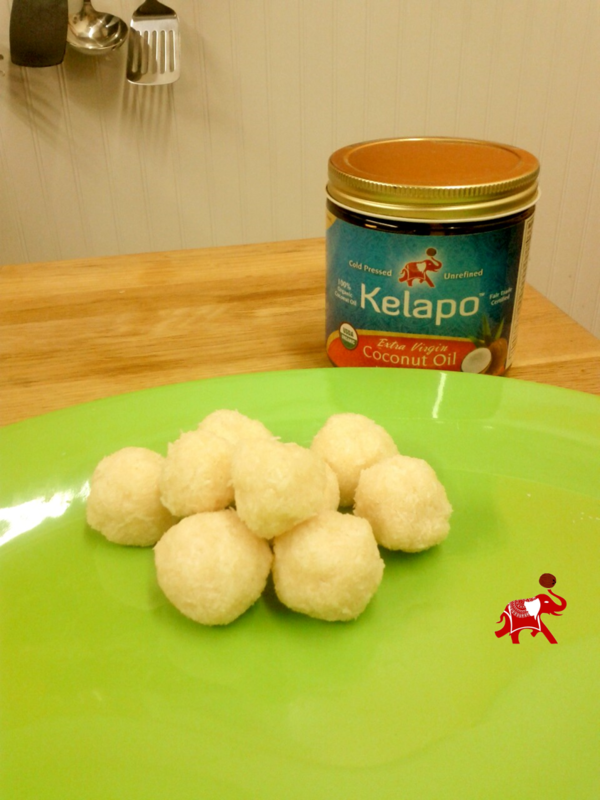 This recipe is great for snacks for kids with allergies – including dairy, soy and gluten. Dr. Oz says honey may actually help reduce seasonal allergies by helping your “body grow accustomed to the pollen and immunize your body against it.” Here are the basic ingredients you’ll need, feel free to improvise with any additional ingredients. Crunch on this! 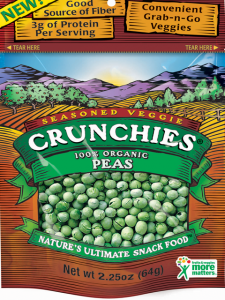 For healthful noshing in the New Year to keep weight loss goals in check, Crunchies® natural snacks are the perfect alternative to a bag of potato chips! 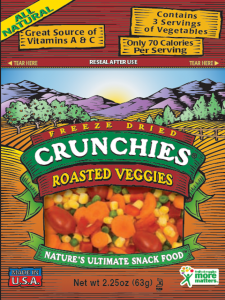 The freeze-dried fruits and vegetables keep adults and kids alike crunching on a wide variety of fruits and veggies! “Mom” is loving that there are only 100 calories or less per serving, and the crunch factor plus the fresh, tart fruit & vegetable taste is extremely tasty. 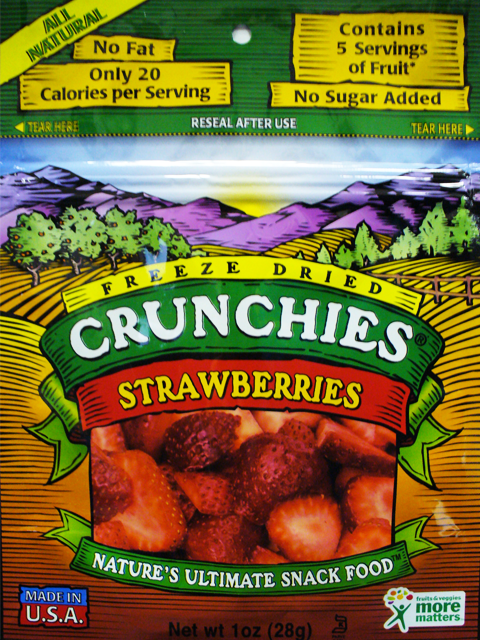 The Crunchies® line of freeze-dried fruits and vegetables are free of additives, chemicals, preservatives or unhealthy ingredients, and come in convenient resealable for easy snacking anytime. These make great nutritious additions to your child’s lunchbox, too! Why do we love Crunchies®? Crunchies® are available in four varieties, including Fruit Crunchies®, Veggie Crunchies®, Organic Crunchies® and Corn Crunchies®. In addition, they now have smaller Munch Paks available in the following fruit varieties: Cinnamon Apple, Mango, Mixed Fruit, Pear, Pineapple and Strawberry. Not just for snacking on, Crunchies® can also be used in recipes, and the website offers an interesting recipe selection using Crunchies® for more fun in the kitchen! 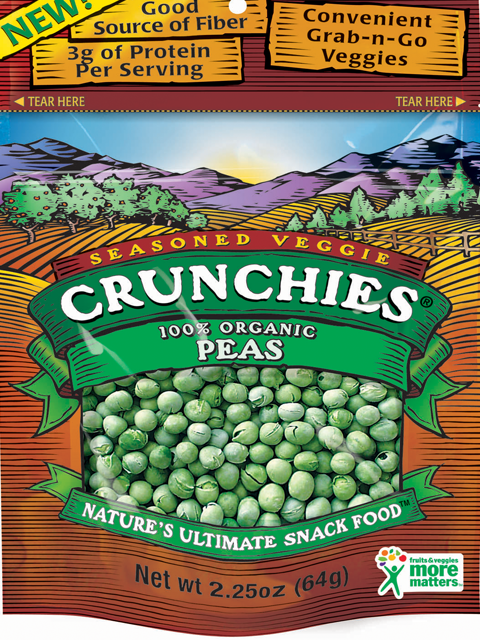 To learn more about Crunchies®, please visit www.crunchiesfood.com. 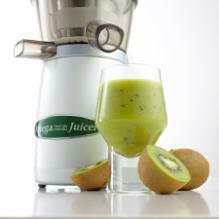 You will be glowing from the inside out with this healthy juice concoction, courtesy of Omega! Juice together in the order given with an Omega Juicer. Stir the juice to mix the flavors and pour over ice. Enjoy! For this recipe, Omega recommends using a masticating style juicer like their Vert VRT330 HD or Vert VRT350 Low Speed Juicing System to give you the highest degree of extraction and the healthiest possible juice. 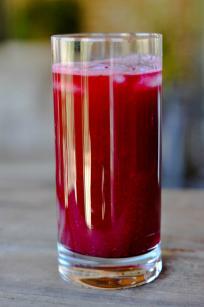 Get on your feet in the morning with this three ingredient freshly squeezed juice! *For this recipe, Omega recommends using a masticating style juicer like their Vert VRT330 HD or Vert VRT350 Low Speed Juicing System to give you the highest degree of extraction and the healthiest possible juice. For the majority of people, their modern diets dictate excessive consumption of both fatty meats and cheese. Even if they are vegetarian, a vast proportion of meat substitutes in meals are various cheeses – not exactly heart friendly. Furthermore, when people eat vegetables they tend to boil them for far too long – thus decreasing their nutritional value. So, everybody knows that a healthy diet involves eating less meat and cheese, but not everyone realizes that overcooking vegetables can make this so called healthy diet completely void! So what is the best way to eat your vegetables? Raw is a great way to ensure that you get all the nutritional value from your vegetables – and some of them taste great raw. Imagine a primitive man foraging for vegetables; do you think he would be looking to sauté them before eating? I think not, raw vegetables would be a regular addition. Admittedly, eating raw vegetables is much easier in the summer when it is warm. Some could even be considered refreshing. However, some vegetables simply do not taste very nice at all when eaten raw (or take a little getting used to) and we are no longer primitive man. One prime example is being broccoli. I do know people that enjoy the raw taste of broccoli but on the whole, I do not think that people enjoy the raw taste if broccoli. So if you have to cook certain vegetables, what is the best way? Avoid boiling vegetables at all costs. Boiling results in the vegetables losing many of their nutrients, and let’s be honest, there is nothing worse than trying to eat an over boiled vegetable. It is limp and tasteless. Roasting vegetables can result in food that tastes far different to boiling. However, due to the high heats involved and the amount of time it takes to roast vegetables, the final product is low in nutrients. A much less aggressive way to cook vegetables and can produce some really fantastic tasting food. Put some spices in the water to gently infuse the vegetables with whichever taste is your preference. There are two main variables that you have to consider when frying. How much oil you use, and how long you cook them for. If you have a decent non stick pan then you should be able to get away with using very little oil. It is important to make sure your pan is very hot before frying the vegetables. In this way, you should only fry them for a couple of minutes to cook them – the inside will not be overcooked and the outside should be lightly singed. So, where possible experiment with raw vegetables. If you can identify vegetables that you like raw (maybe with a dipping sauce) you can then try to incorporate them into your diet. It is the only way to ensure a healthy diet, the way nature intended. However, if you do have to cook your vegetables, try not to cook for them for very long and use the steamer or frying pan instead of roasting or boiling. Made in just 15 minutes, Chocolate Bliss Balls are gluten-Free and vegan. Kids can make these themselves since no heating or cooking is involved, as well! Add almonds and sunflower seeds to a food processor and process until coarsely ground. Add dates, sea salt and cinnamon and process again until blended. Scoop mixture by tablespoons and shape into a ball. Enjoy! This is a great apple pie recipe that will leave you wanting more. But, it is also very healthy, and it’s just right for those that are trying to follow the raw food diet. It’s perfect to satisfy your sweet tooth, but won’t make you regret eating it! Cut and skin apples into chunks, put in bowl. Add 1 tbsp. of lemon juice and sprinkle with cinnamon. Mix everything and dehydrate for 2 hours. Blend all of filling ingredients and put in a 9′ pan. Blend the apple pie filling. One’s food choices relatively affect not just physical health but well-being as well. People who constantly consume processed and unhealthy foods are literally tying the noose around their necks as they have an increased risk of developing heart diseases and other illnesses. It is for the same reason that more and more individuals have decided to switch to a healthier lifestyle, such as adhering to the raw food diet. The raw food diet is a type of nutrition trend that is comprised mainly of consuming uncooked, unprocessed, and organic foods. It is known to support the theory stating that foods, especially vegetables or those produced by plants, are best eaten when uncooked. And this is because some essential nutrients like phytochemicals are likely to disintegrate when placed in extreme temperatures. Whenever you order large fries, hamburger, and soft drinks at your favorite fast food chain, you are gradually hastening the ticking bomb in your body. For girls, the consumption of foods high in salt is usually the culprit for heavy menstrual flow and cramps. 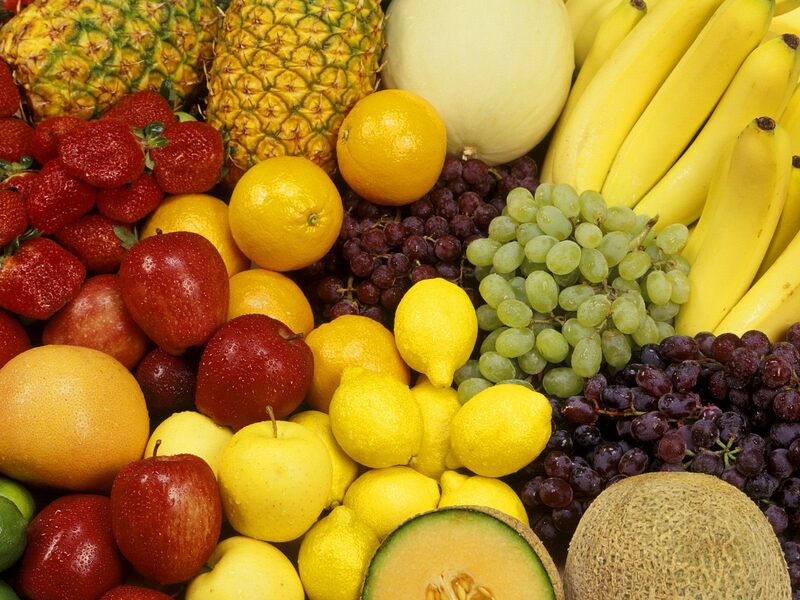 The low intake of foods rich in Vitamin C easily exposes people to minor flu and colds. This is where eating a raw food diet comes in handy. It is the way to go when you want to acquire the best nutrition. Adhering to this type of diet helps you cleanse your body because it limits your intake of foods containing artificial additives, trans fat, MSG, and other common food poisons. As a result, your body enjoys levels of potassium, magnesium, folate, fiber, vitamin A, and other health-promoting antioxidants. Consuming a raw food diet is also a good way to shed off the unwanted fats that you’ve been storing for years of eating junk foods. What’s good about this diet is that you can adhere to it without restraints since it contains a lot less fat compared to the typical Western diet. Combined with regular exercise, this diet can help you achieve your desired weight in time. Compared to expensive and inconvenient beauty enhancements, the raw food diet is a sure way to slow down the aging process and give a person a youthful glow. Once you try the raw food diet, you’d realize that cosmetic procedures like Botox are just an utter waste of money. You don’t need to get pricked by a needle or sliced off by a knife just to reclaim your lost beauty; a good heap of water-rich fruits and vegetables is all that it takes. Gotta Love Your Flawless Skin! Raw vegetables are known to contain lots of Vitamin E, a nutrient that is highly potent in purging the body of free radicals, keeping your cells and skin healthy and glowing. As mentioned above, raw foods — especially fruits and vegetables — are also loaded with Vitamin C, which are not only beneficial in strengthening one’s immune system but helps one achieve smooth, clear skin as well. Most athletes adhere to a healthy diet, especially eating raw food, because it helps them get the energy they need in order to endure rigorous trainings. People who reportedly consume up to 75 percent of unprocessed foods have noticed a steady improvement in their energy level. If you want extra energy to get things done quickly in your daily life, you are better off going to the supermarket and shopping for fresh fruits and vegetables. Get Those Stomach Muscles Working! Proper digestion is important if you want to stay fit and healthy. Known to be rich in fiber, raw foods aid in digestion, slow down glucose absorption and improve one’s metabolism. It also helps your body keep up with its normal processes. Clearing the body of junk helps you clear your mind of rubbish, as well. Followers of the raw food diet claim that it has improved their focus and motivation in doing things. The raw food diet basically puts your body’s activities in order. The more you consume healthy food, the better digestion you have, and in turn, the clearer your mind becomes. Sleep is necessary to one’s body because it is the time when cells regenerate. A lot of people have had a hard time sleeping or experienced waking up at wee hours of the night because of eating junk foods and sugar-loaded drinks before hitting the sack. Eating uncooked fruits and vegetables not only means you’re going to have a good night’s sleep; it also ensures that your body won’t have to digest toxins you’ve previously consumed. The raw food diet helps you feel more refreshed and energetic during the day. Having healthy hair has become one of the standards of beauty. There are so many products in the market today that all claim to help you achieve thicker, healthier hair. However, the more you apply chemicals on to your crowning glory, the more it gets damaged. By eating raw foods that are especially rich in Vitamin E, you are assured that your locks are well taken care of every day. Japanese people are famous for their longer life span. This can be attributed to their diet that mostly consists of raw food. They are known to be heavy fresh fish and vegetable eaters. 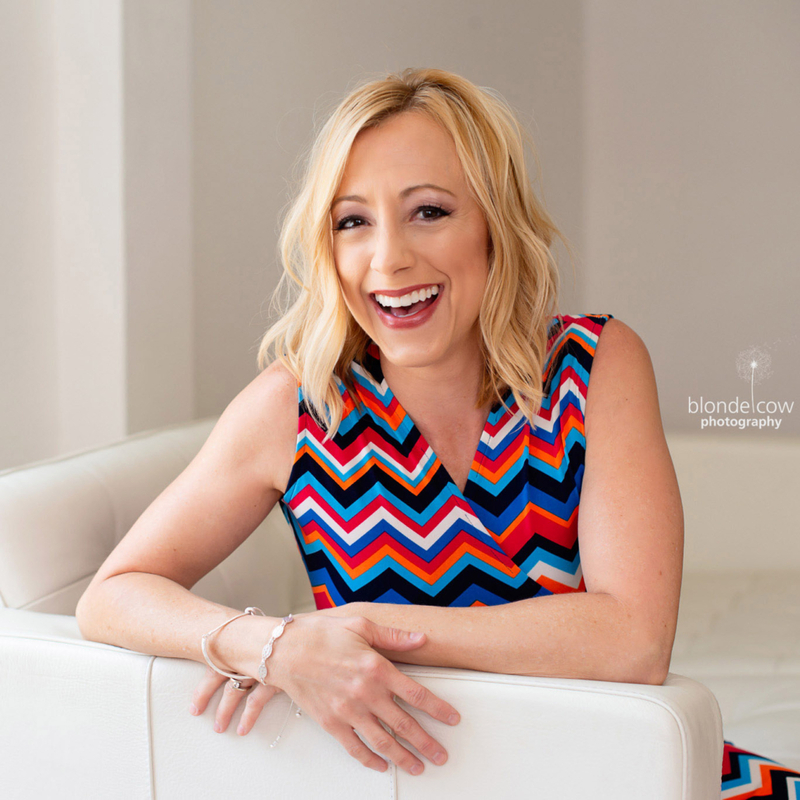 So, if you want to add more years to your life and more life to your years, then now is the best time to incorporate the raw food diet into your regimen. As with any regimen, you have to consult your doctor before trying the raw food diet and fully understand its benefits and disadvantages before fully committing to it. Nonetheless, the benefits it brings to one’s health are absolutely indispensable, and that justifies why more and more people are getting enticed to try it. You don’t necessarily have to give up eating cooked foods. Half of this and that will do the trick. Your body is worth the investment! Feed it and nourish it always. You only have one. Remember that you cannot exchange it with another when worse comes to worst, so it is always best to stay in the pink of health all the time. Patric Seeley is Global Brand Manager for Mattressnextday. Mattressnextday sells double mattress size, king size mattresses, comfortable double mattresses, cheap mattresses and soft memory foam mattresses.